flashings Archives - Charles Buell Inspections Inc. 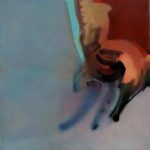 Gravity is the problem–or not. No matter how often, or how many times, one installs something wrong, to expect anything less than the consequences that can easily be anticipated is–at best–nutty. Now I know that “nutty” is not a very technical term but it is well suited to the particular installation I want to talk about today. Any time a vertical surface changes direction, or the types of materials change, it is important that the materials above either be properly lapped over the lower surfaces or be flashed to accommodate the changes. 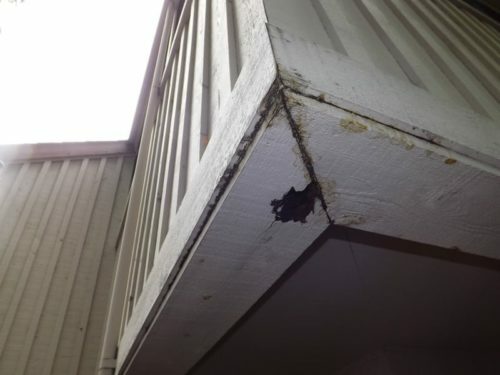 If a builder keeps this basic principle (caused by the way gravity works) in mind, bad things can usually be kept from happening in terms of water intrusion into a structure. There are other mechanical means of water finding its way into a structure, such as by wicking or due to pressure differentials. For today’s exercise we are going to concern ourselves with missing flashings. 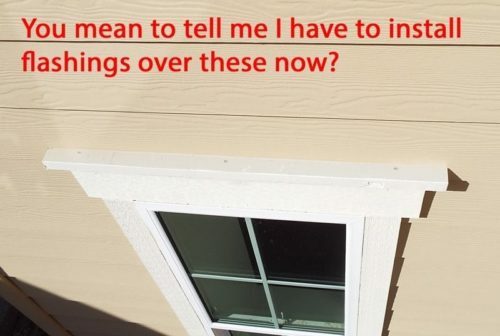 It is very common to see decorative horizontal trim components installed on top of siding materials. 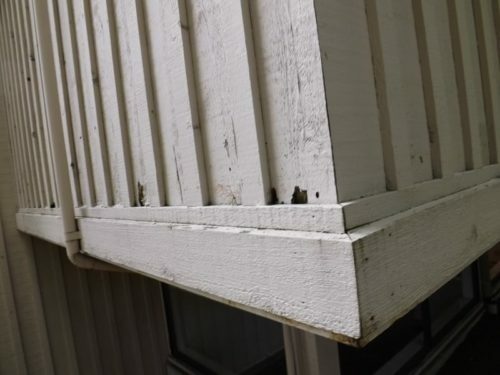 When they are installed in this fashion, without counter-flashings, water will eventually get behind the trim boards no matter how well the connection is caulked. 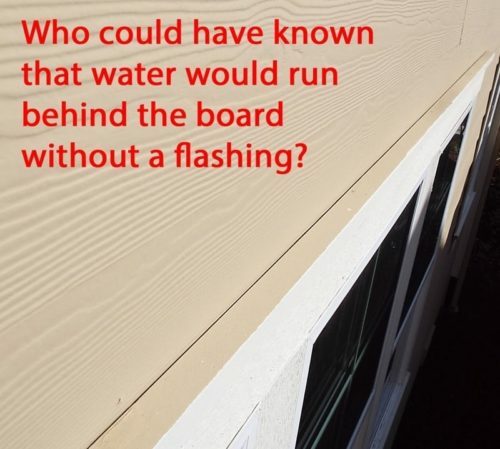 One can even argue that, once water finds its way behind the trim boards, the caulk merely creates a barrier preventing moisture from evaporating back out. Thus decay/rot would be hastened. 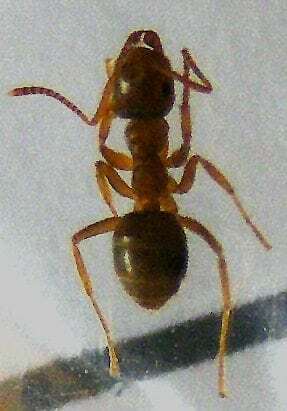 It also creates a perfect environment for wood destroying insects such as Moisture Ants–like the one pictured to the right. As you can see, in the following pictures, the trim boards have been installed on top of the siding. The battens that cover the joints between the boards end at the horizontal trim and the siding boards continue on down behind the trim. 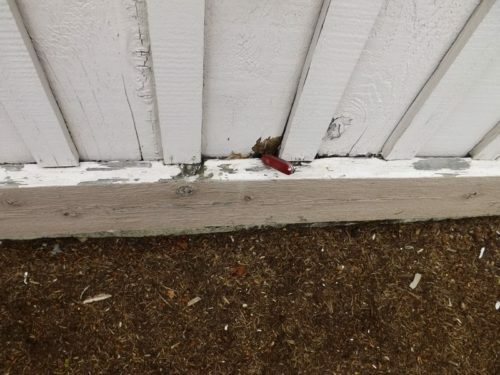 The caulked connection has long since failed if it was ever there in the first place. As you can see by the knife, the wood is rotten down behind the trim board. In this next picture you can see a similar installation but at an overhanging portion of the building. The only difference here is that there is an additional horizontal board to help trap water. Note that above the trim board in the last picture there is a series of “holes” above the trim boards. These holes were made by wood peckers that are doing their part to encourage moisture into the area. However, don’t blame the birds, they are only after the wood destroying insects working/living in the decay/rot behind the trim boards. The birds can “hear” or at least “sense” the insects working in the wood and they want lunch–or breakfast, or dinner, or snacks as the case may be. There is also a hole on the bottom side where it has rotted away—actually the whole board was rotten and only being held together by the paint. The entire area was alive with moisture ants. The fix in this case is going to be expensive and might even require re-siding the whole building. 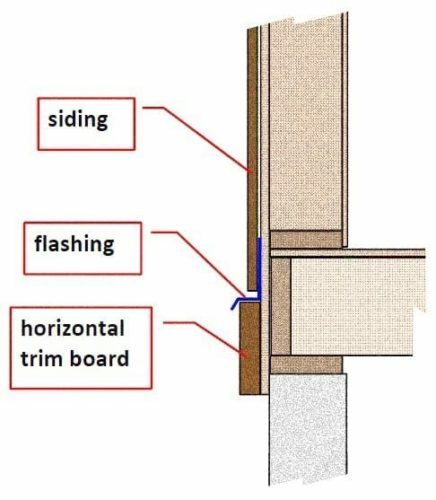 The following picture is what a typical flashing detail for this kind of horizontal trim board might look like. It would have been so inexpensive to have done it correctly in the first place. The moisture ants will go away when the moisture goes away. They are merely letting you know there is a problem. Once the moisture ants are gone, the wood peckers may leave the building alone as well. Just like Disneyland, the US Congress or other theme parks, homes too can be united by common features. 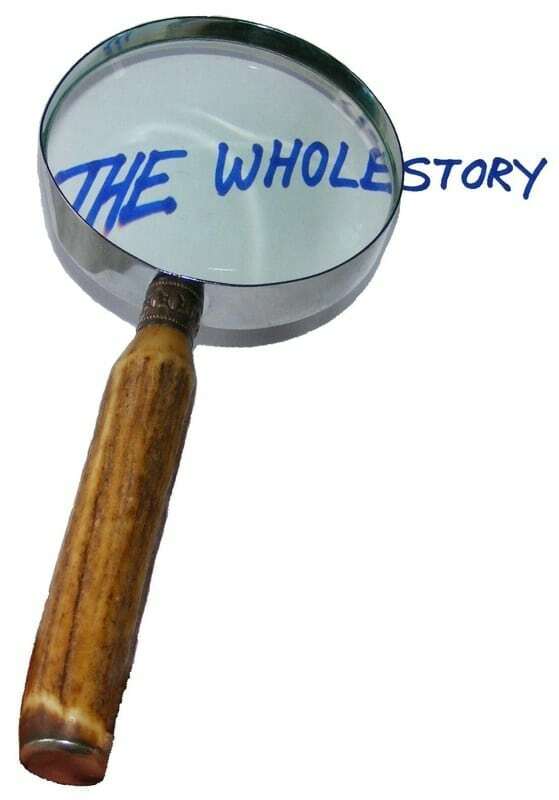 This post however is not about the “houses of horrors,” befitting any Halloween night, that have become common with short sales and foreclosures. It is more about the “little things” that are common in homes. 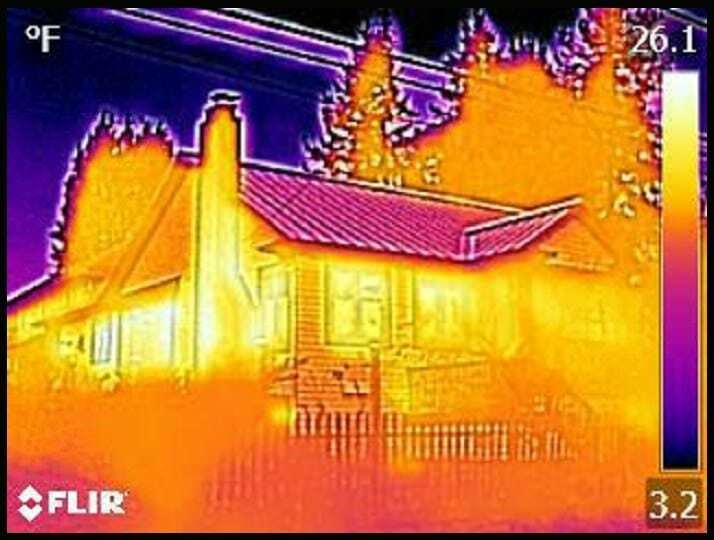 For example if a house has one defective GFCI receptacle it is likely that there will be more than one. If there is one junction box with a missing cover–there will be many. If one of the windows has a broken seal it is likely that there will be others with broken seals. If one door sticks–others will stick. If one chrome trap is at the end of its expected life, so will others in the home. Now there are several reason we have these themes in homes. Firstly, the age of the house is a factor. If everything in the home was installed at the same time–it is likely they will come to the end of their life at the same time. Secondly, often work was done by the same person. If they do something wrong once–it is highly likely think that they will have done it the same way at other locations in the home. 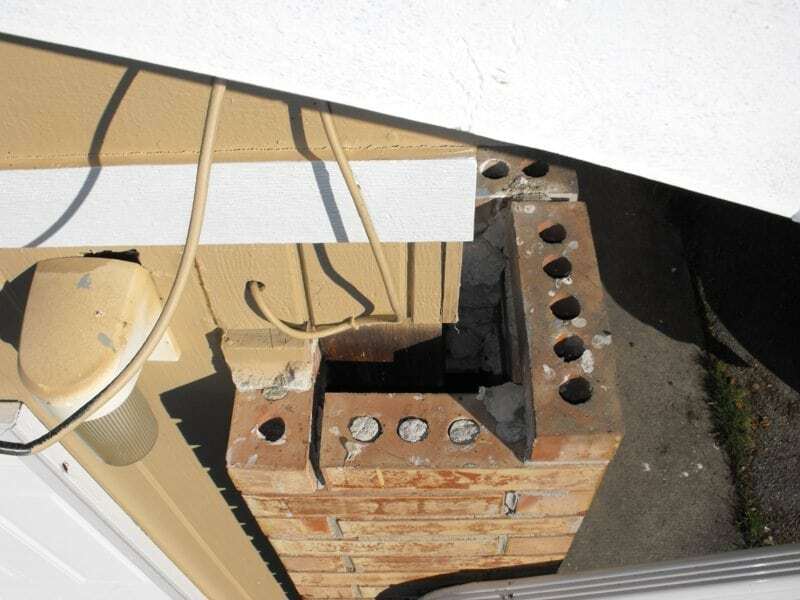 If there are missing flashings in one place there will be missing flashings somewhere else–even if the flashing serves a different purpose. Take the previous picture. How many flashing issues can you spot in the picture? Well of course there is obvious cavernous opening where the top of the brick work at the corner of the home never got completed. This is on the South side of the home–the direction from which we get a lot of our weather in the Northwest. There is a pretty good chance this is going to become a water collection point. In this next picture I have done some overlays to show where there should be flashings, caulk and other seals installed to prevent moisture from damaging the structure. At “A” there should be a flashing to prevent moisture from getting behind the horizontal trim board. At “B” the light fixture does not properly cover the junction box cut-out in the siding. At “C” one can see there is no flashing across the top of the doorway horizontal trim (also the vertical trim is not caulked). At “D” the wire penetration is not sealed. And at “E” of course the brickwork is not finished. Like any good theme park, here we have lots of similar repeating issues that could be conveniently gunny sacked into one photo. There were many other flashing issues around this theme park. Sometimes home even have multiple themes.